It's 6:30 on a Tuesday night in Soho, and I'm behind the wheel of a brand new Cadillac ATS-V. Why am I taking Cadillac's sports car through stop-and-go traffic on some of New York's oldest, roughest, and most unforgiving cobblestone streets? Because I'm searching for something, some kind of connection between car, place, and driver. The Japanese (especially Mazda) call it Jinba Ittai, or "unifying horse and rider." Unfortunately, we Yanks don't have a word for it, so I'll just have to stick with "something." The car's thermometer was reading 93 degrees outside; if I was in the BMW 340i or Jaguar XF S I had the previous two weeks, it would have read 33 degrees - and that's a jarring difference when your mind works in Fahrenheit. The difference is jarring between those cars and this one too, and coming off those Europeans puts me in the right frame of mind to pick the ATS-V apart. After all, these are two marques that Cadillac has been gunning for ever since it launched its ambitious comeback at the turn of this century. So is the American still an aspirational car, or can it finally stand up to the Olde World? I'm in Soho to find out, because Cadillac is headquartered here now. And Cadillac is here because Soho is the art, fashion, design, and overall hip moneyed capital of the United States. And I can feel that coming up through the ATS-V's firm suspension along with every bump, dip, and drop in the cobblestone streets. Looking across the microfiber suede, carbon fiber, and leather dash, and across its garish Velocity Red hood, I'm smitten; I wouldn't want to be in any other car right now. It's 93 godforsaken degrees outside, not 33, dammit, I'm driving through the cradle of American high culture, and I'm as convinced as ever that Cadillac has returned to its status as one of The Big Guns. The ATS-V attracted more attention than anything I've tested this year, and surprisingly, all of it was positive. Then again, if you ask someone between the ages of 8 and 80 to describe what a fast car looks like, you get this. What surprised me most was just how different the -V, and the stock two-door ATS, a handsome and tastefully-styled personal luxury coupe, really are. The difference reportedly adds up to about 2,000 unique parts on the -V, and it shows the second you lay eyes on the thing. With its bulging fenders, quad exhaust, aggressive front fascia (unique sheet metal from the A-pillars forward), and those prominent intakes on the hood, the ATS-V looks purposeful and mean. But more importantly, there's an element of familiarity about it that (I'm assuming) resonates with people. 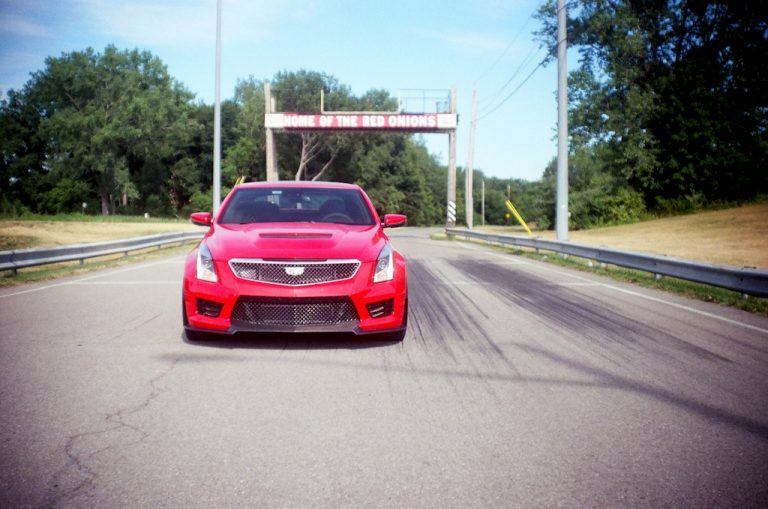 M4s, and AMG C63s sit low, have big wheels and lots of intakes too, but this sonofabitch is our hometown hero; the world-beating performance coupe with the heart of a muscle car and a Cadillac crest on the hood. 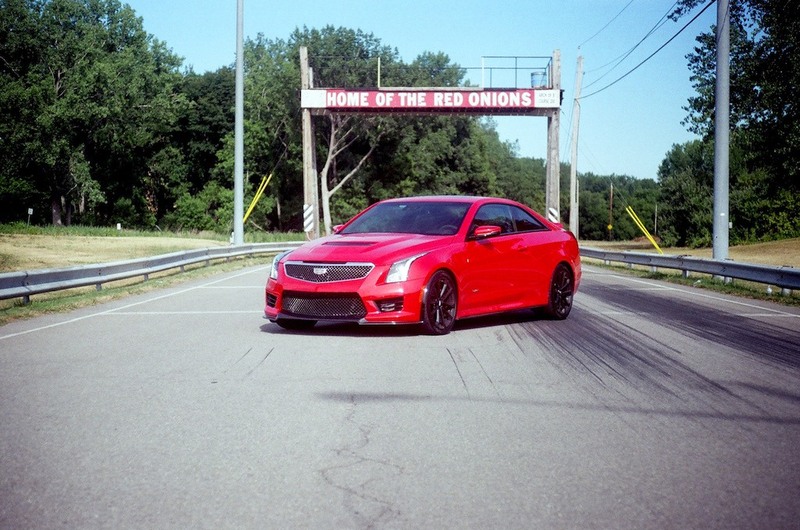 You may have never heard of it before, but as soon as you see an ATS-V, you know you want one. No matter how hard you try, that's something you can't engineer into a car. 464 horsepower and 445 pound-feet of torque. 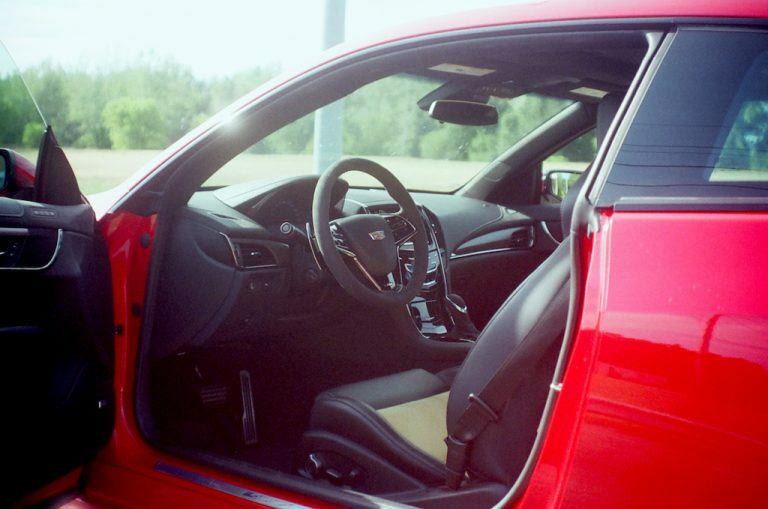 The ATS-V backs up its looks and attitude with 464 ponies going to the rear wheels, while 464 pound-feet push you back into its leather and microfiber suede Recaros. You could say that it shares its 3.6 liter V6 with the base ATS, but at this point, the two mills share little more than basic architecture and displacement. 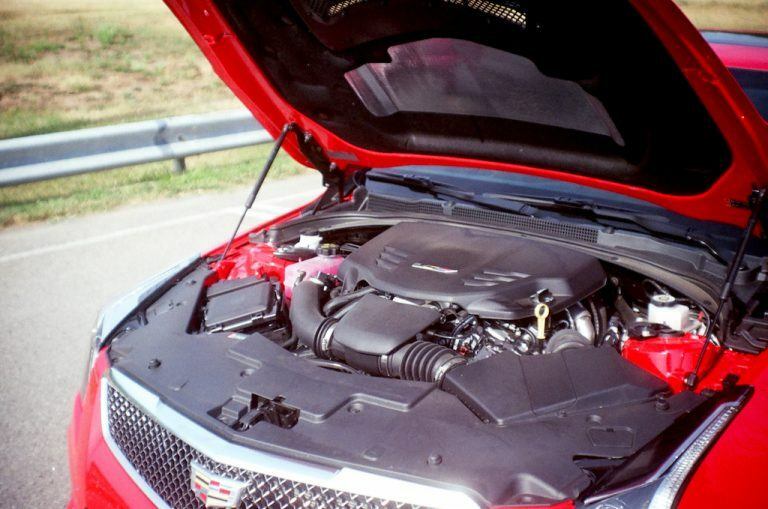 The ATS-V benefits from two big turbos, a forged crank, titanium con rods, an upgraded valve train, an intercooler, oil cooler, and a heavy duty oil pump. In plain english, this engine was designed to handle track duty, but refined enough to live under the hood of a Cadillac. I've had a few people at Cadillac tell me that they have no interest in following the lead of their German and Japanese rivals, and in the ATS-V, that shows through beautifully. 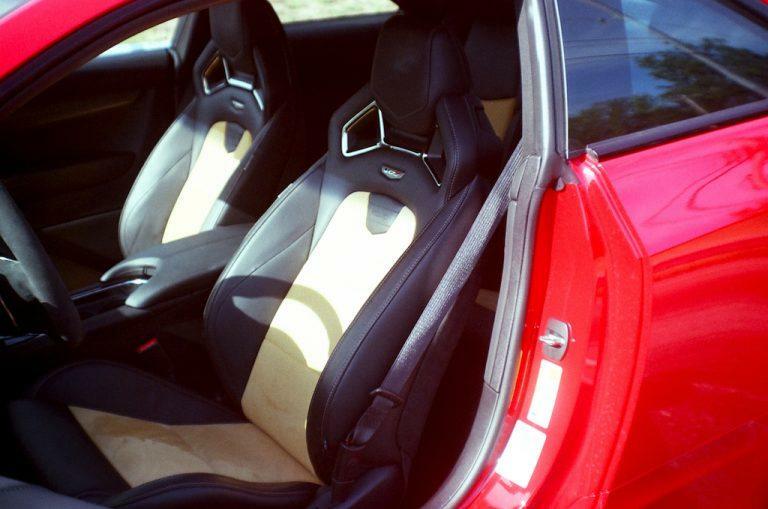 Fit-and-finish and quality are world-class, but the hand-stitched black leather, tan microfiber suede, carbon fiber, aluminum, and piano black trim are arranged in a way that's bold, inviting, and interesting to look at. It feels familiar like an American car, but is every bit as formidable - it not more so - as its rivals. Unsurprisingly, the rear seats are cramped for adults, but up front, the Recaro racing seats are firm, supportive, and very comfortable. Everything from height to lumbar to bolster width is electronically adjustable, allowing you to find the right seating position for virtually every driving situation. Up front, the digital/analog instrument panel will be familiar to anybody who's driven a modern GM with a digital dash before, but even that adds to the ATS-V's character. The gauges come alive in a graceful little dance when you start the car, and the numbers on the speedo, tach, and MID share an unashamedly loud, italic typeface that looks right at home here, but would make a German engineer break out into a cold sweat. The ATS-V's thick-rimmed steering wheel looks purposeful and feels great, and its controls work so well with the CUE infotainment system that you rarely have to take your hands off the wheel to make adjustments to the stereo, among other things. 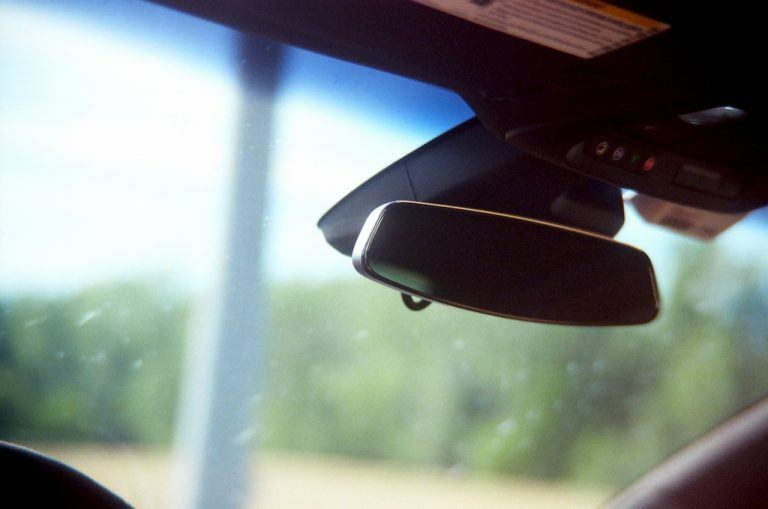 Paired with the heads-up display, the ATS-V comes across as nothing less than a pure driver's car, but since it's a Cadillac, it's impossible to forget that you're surrounded by world-class luxury too. The ATS-V owes a lot of its clean dash layout to Cadillac's CUE infotainment system, and it works beautifully here. Controls for the radio, HVAC, and infotainment system are handled by the piano black center dash console and eight inch touchscreen. Press down on a setting, and the panel (or screen) gives your finger a reassuring bump as it adjusts, letting you know that it's on the job. CUE has long been one of the more polarizing systems on the market, but it finally feels like its come into its own, and the aforementioned steering wheel controls do a lot to keep everything easy to use in any driving situation. 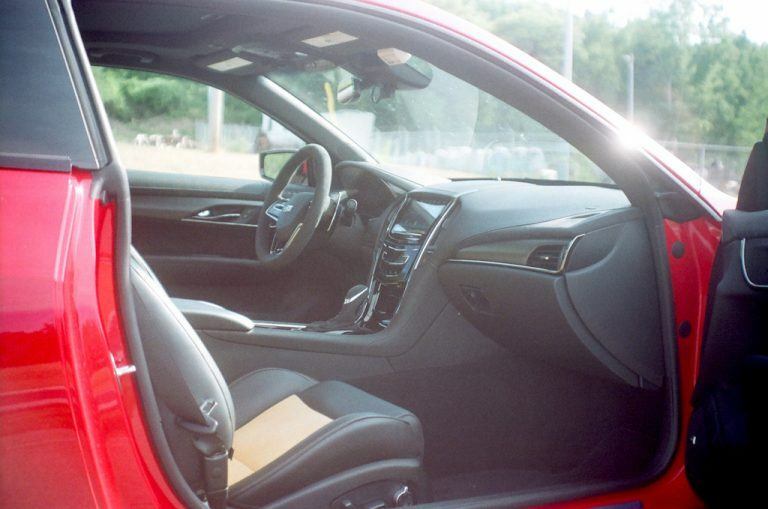 A backup camera, front and rear parking assist, auto-dimming mirrors, wireless phone charging, and fantastic Bose stereo also work to make this performance car feel first and foremost like a Cadillac. And even without the CUE and the other goodies, the -V still feels like a technological powerhouse, with most of its brainpower devoted to keeping it as fast, and as safe as possible. An array of traction and stability controls work to make sure you don't do something too stupid behind the wheel, an electronic limited-slip differential keeps all that power from overwhelming the rear wheels, massive Brembo brakes (six piston up front, four rear) stop the car on a dime. I couldn't bear to keep the ATS-V in the city too long, so I took it on a long drive out to western New York to visit my family for a few days. It's prime GM country where I'm from; home of the Rochester carburetor, EV research labs, and big Delco and Delphi plants that dot the landscape. Also, about 70 miles from my home town lies the Tonawanda Engine Plant, where the '69 Corvette's ZL1's engine was built almost a half century ago. But I don't think that that was the reason why so many people (and myself) responded to the ATS-V like they did. It feels built for New York state's winding, two-lane highways, and straight, rolling routes through farm country. It stayed firmly planted through hairpins and switchbacks, and keeps pulling as long as you're on the go pedal. 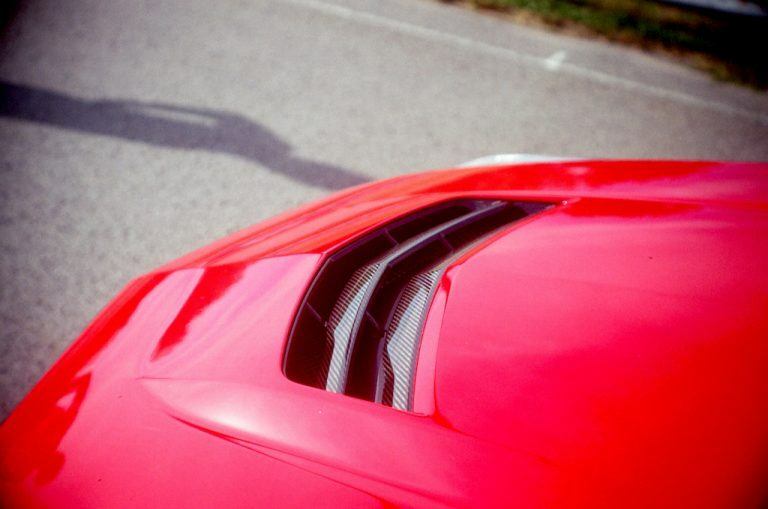 It looks like a surgical tool; clean, competent, and demanding respect, and while it stands out from both the competition, it also stands apart from other hot cars like Porsches and Corvettes. The ATS-V is a rare, special car, and it everything it does conveys that. Plus, our tester was loud and red. 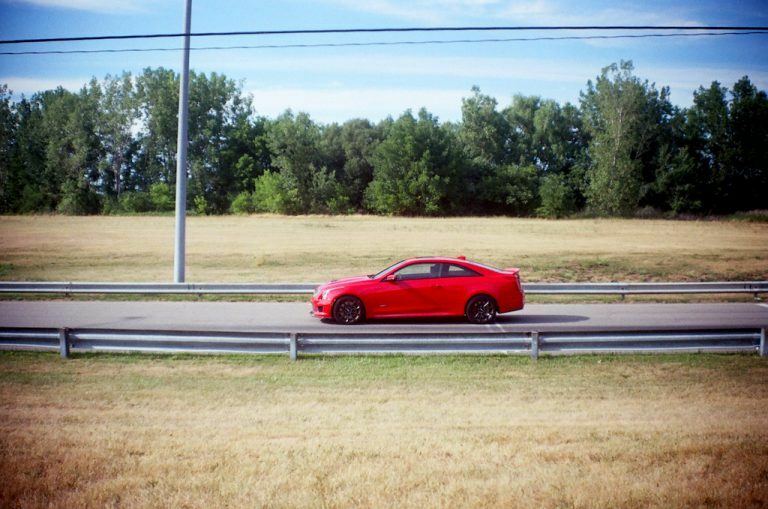 People love loud red cars. I pulled off 81 to get gas and a Coke about 40 miles south of Syracuse. It was one of those shops about three miles off the highway, surrounded by pine forest and not much else, with a single streetlight as the only landmark between the place and the on-ramp. It was around 11:30 at night, and the heat hadn't broke. The station was empty, and you could see the attendant trying to stay busy by mopping the floor. I walked in, and the kid, about 18, swimming in his oversized work shirt and big glasses is staring out the window now, but he doesn't say anything until I'm about six paces behind him. I pay up, walk out, and walk up to the ATS-V head on. It looks good from this angle. On the downward grade to the pump, it looks even lower and meaner than it is. And what just happened to me has never happened before. And it's not 1956, and I'm not Elvis, but some kid in an upstate farm town is out there lusting after a Cadillac, saw one, and it made his night. I pull away in manual mode, stomp the gas, and let the 3.6 rev real high and real loud through the gears, just so this kid knows what he's going to have someday. 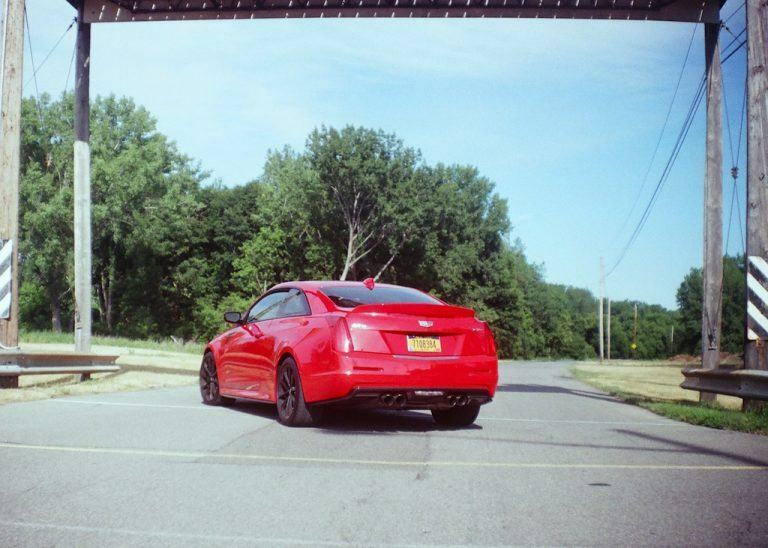 I could list the facts and figures, the 464 ponies, the 4.2 second zero to 60 time, all the tech, the cushy interior, and whatever else, but for the life of me, I couldn't sum the ATS-V up better than that minute long exchange upstate. So for all the talk of whether or not Cadillac can compete with the Germans, British, or Japanese, it can. 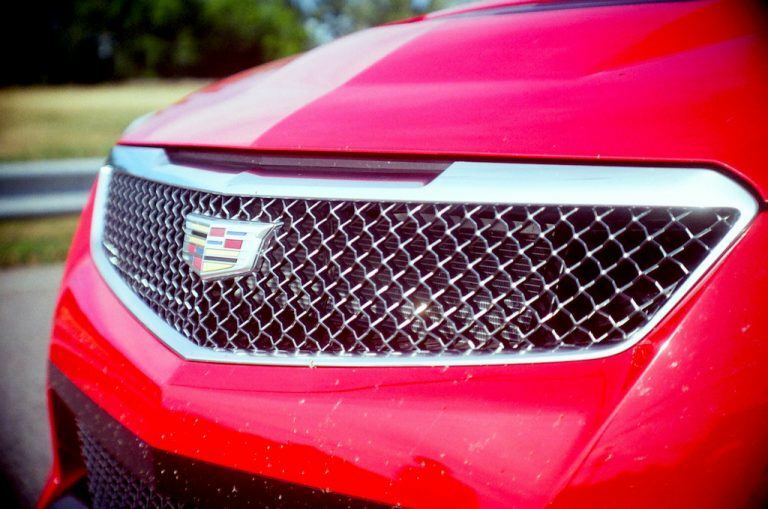 The ATS-V has that something; it's a star. It does precision performance without being cold or clinical, gets attention without being too ostentatious, and feels every bit as substantial as its $78,905 price tag (base is $62,665). In short, Cadillac has built itself a world-class dream car. We'd like to have one in our garage someday too.